alaTest has collected and analyzed 1100 reviews of Motorola Moto G4 Plus. The average rating for this product is 4.3/5, compared to an average rating of 4.1/5 for other Cell phones for all reviews. Opinions about the screen and camera are overall positive. The usability and price are also appreciated, whereas some have doubts about the GPS navigation. We analyzed user and expert ratings, product age and more factors. Compared to other Cell phones the Motorola Moto G4 Plus is awarded an overall alaScore™ of 91/100 = Excellent quality. 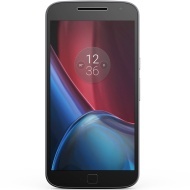 alaTest has collected and analyzed 429 user reviews of Motorola Moto G4 Plus from Amazon.com. The average user rating for this product is 4.2/5, compared to an average user rating of 3.8/5 for other Cell phones on Amazon.com. Views about the portability and screen are overall positive. The usability and price also get good feedback, whereas many are less positive about the GPS navigation. Reviews are divided on the reliability. Make no mistake: These two devices are Lenovo phones through and through, and the end of Motorola's budget brand as we know it.